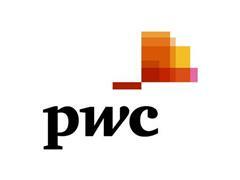 NEW YORK, March 20, 2017 – PwC today released its 13th annual State of the Internal Audit Profession study, which found that internal audit functions are losing ground in trying to keep pace with stakeholder expectations. This year’s study shows that the number of stakeholders that view internal audit as “contributing significant value” dropped from 54% in 2016 to only 44% in 2017, reaching its lowest level in five years. Despite this drop, the good news is that nearly half of all stakeholders want internal audit to take on a more integral role; this can be achieved through the function’s ability to help stakeholders better manage unplanned or unanticipated events, also known as market disruptions. Based on nearly 1,900 respondents from organisations headquartered in 41 countries, 18% of them report that their internal audit functions play a valuable role in helping their companies anticipate and respond to business disruption – a subset of the pool which we’ve coined “Agile Internal Audit (IA) Functions.” Nearly nine out of ten stakeholders with Agile IA Functions report that internal audit is adding significant value – that’s more than double the percentage of stakeholders with less agile internal audit functions. The study uncovered two key traits that enable Agile IA Functions to lead in disruptive environments –preparedness and adaptiveness. Build the eventuality of disruption into planning and risk assessment: 84% of Agile IA Functions are mindful of disruption and include the possibility as part of the audit plan development, compared to 50% of less agile peers. Meaningfully collaborate with other lines of defense: 76% of Agile IA Functions cohesively work with other risk management and compliance functions to address disruption, compared to 40%of peers. Invest in and elevate business and technical IQ: 73% of Agile IA Functions provide Internal Audit with advanced technology and encourage the development of trending and analysis techniques, compared to 60% of peers. Create more flexible processes and reporting mechanisms: 73% of Agile IA Functions change course and evaluate risk at the speed required by the business, compared to 37% of peers. Drive the use of data analytics and technology: 47% of Agile IA Functions have increased the use of data mining and data analytics for continuous auditing/monitoring of trends and potential impacts of disruption, compared to 35% of peers. Implement flexible talent models: 74% of Agile IA functions redirect/reorganise resources as needed to help the organisation manage or respond to disruption, compared to 40% of peers. PwC understands that significant risk is rarely confined to discrete areas within an organization. Rather, most significant risks have a wide-ranging impact across the organization. As a result, PwC’s Risk Assurance practice has developed a holistic approach to risk that helps to protect business, facilitate strategic decision making and enhance efficiency. This approach is complemented by the extensive risk and controls technical knowledge and sector-specific experience of its Risk Assurance professionals. The end result is a risk solution tailored to the unique needs of the organization. The respondents were made up of internal audit executives and stakeholder of internal audit, including audit committee members and chairs, board members, CFOs, CEOs, CCOs and CROs. Countries include: Argentina, Australia, Austria, Belgium, Brazil, Canada, Chile, China/Hong Kong, Cyprus, Czech Republic, Denmark, Finland, France, Germany, Greece, Hungary, India, Ireland, Italy, Japan, Kenya, Luxembourg, Mexico, Namibia, Netherlands, New Zealand, Nigeria, Norway, Poland, Portugal, Russia, South Africa, Spain, Sweden, Switzerland, Turkey, Ukraine, United Arab Emirates, UK, US and Venezuela. This subset was created based on two criteria: (1) their company received significant value from internal audit’s involvement in disruptive events, and (2) their company defined internal audit’s value as contributing something more than executing effectively and efficiently on the audit plan.